Someday the earth will be like one of those towns on the South Shore of Long Island, like Long Beach or like Broad Channel in the Rockaways which have been hit one time too many. It will be the result either of some external force like the asteroids which caused the ice age or the problems will emanate because of the way carbon emissions in the upper atmosphere and the consequent Green House effect have caused a catastrophic shift in our weather profiles. Someday the inhabitants of the earth will be in the position of the German Jews at the time of Hitler. 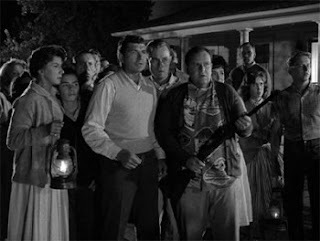 There were those who couldn’t believe in the prospect of annihilation and those who escaped with a few possessions just before the gauntlet was lowered. But how will the migration take place and what will be the latter day vessel, the Noah’s Ark, into which people and animals will escape? And where will civilization go? The only mildly hospitable planet in the solar system is Mars. The others are either too hot or too cold and even Mars is a trek. If we talk about going further out into our galaxy of the Milky Way, we are talking about some kind of migration taking place over generations. It would be biblical in scope. But the forty days and nights would probably be changed to light years and many life times would be spent in travel to the new found land. 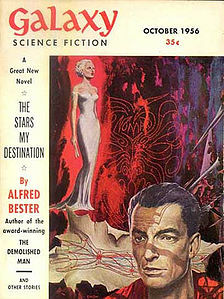 The science fiction writer Alfred Bester’s famous tome is The Stars My Destination. The question is: when it’s time to move, which one will we shoot for? Saul Bellow once raised eyebrows in the multi-cultural wars by asking “who is the Tolstoy of the Zulus? The Proust of the Papuans?” (“Saul Bellow, Who Breathed Life Into American Novel, Dies at 89,” NYT, 4/6/05). The Royal Shakespeare production of Julius Caesar, which just completed a run at BAM, could have been a great riposte, if one inserted Shakespeare in the place of Tolstoy. If only it had taken the bull by the horns. Why not employ the Jan Kott, Shakespeare Our Contemporary approach? What about doing what The Royal Shakespeare Company did when they collaborated with the Wooster Group on Troilus and Cressida? What if Chinua Achebe had written an adaptation? 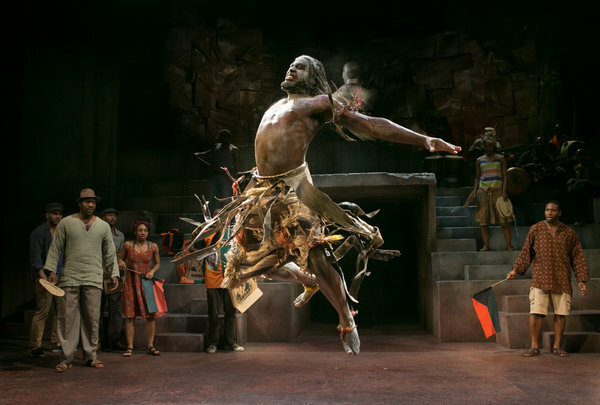 As it stands, the production is weighted heavily towards a straight rendition of Shakespeare set against a generalized view of African culture and history that's lacking in any specific referents. Why insert an African setting if you are not going to do anything with it? The production notes actually remark “You could be forgiven for thinking that William Shakespeare and Nelson Mandela have absolutely nothing in common” and go on to mention the fact that The Complete Works of William Shakespeare were smuggled to Mandela in prison and that one of the passages that spoke to him famously uttered by Caesar himself that begins, “Cowards die many times before their deaths. The valiant never taste of death but once. ” Apart from this allusion to the tortured history of South Africa in the playbill, it’s disappointing that the current production fails to employ Shakespeare’s study of tyranny in the service of say the murder of Patrice Lumumba in the Congo—as one iconic example of Congolese history that's ripe for interpretation. The great lines “Friends, Romans, countrymen,” “the fault, dear Brutus, is not in the stars, But in ourselves,” “et tu, Brute?--Then fall Caesar!” are all perfectly rendered. However, Gregory Duran’s directorial concept actually ends up obfuscating the otherwise powerful performances by Jeffery Kissoon (Julius Caesar), Paterson Joseph, (Marcus Brutus), Ray Fearon (Mark Anthony) and Cyril Nri (Caius Cassius). Imagine a state of total anarchy, the world that PD. James envisioned in Children of Men. What’s happened is that buffeted by continual and unsolved terrorist attacks, society loses it spiritual stamina. It becomes like a fighter who’s experienced a knock down and is unable or unwilling to get up. It’s a little bit like what happened after 9/11 when the very basis of civil society, the constitutional injunctions against cruel and unusual punishment and of due process were suspended. This was the plot of a famous Twilight Zone called "The Monsters Are Due on Maple Street." At some point along the way fantasy caught up with reality since this is also the story of Zero Dark Thirty, which dramatized the extreme measures used to capture Osama Bin Laden. But let’s say it grows even worse. Let’s say the Boston Marathon and World Trade Center bombings are just the beginning. Sports events and public gatherings are no longer safe and the financial world comes to a halt. Inhabitants of Syria and Iraq might say you have just described our lives. But let’s say frustration and starvation grow to biblical extremes with the biblical eye for an eye becoming the law of the land. The middle ages return. Those who are suspected of causing amputations get amputated publicly. The concept of proof beyond a reasonable doubt also goes down the tubes. Society becomes a ravenous animal, its thirst for revenge even exceeding its hunger for food. Nameless bombers catalyze nameless revenge with no one even remembering where the cycle of death and destruction begins. Hey come to think of it, isn’t this what happened in Algeria and Northern Ireland. Isn't this precisely what's happening in Israel, the West Bank and the Gaza Strip today? When it rains it pours and when the sun is shining, even atheists feel that they are being touched by the hand of God. Why are good and bad fortune like the 101 or 102 Third Avenue bus, which comes in herds or not at all? It’s almost the biblical seven years of famine, seven years of feast. Naturalists or those who believe in science would not attribute good or bad fortune to anything, though with respect to the 101 or 102 we might say that if there is a God, he or she is a bad dispatcher. It would be fun to feel that one is rewarded for good deeds by good fortune and punished for bad. This idea at least suggests a modicum of control, but even religious fanatics don’t buy the idea. A good part of modern theology attempts to explain theodicies, events like the Holocaust, which make us question the presence of any kind of divine or benevolent force in either man or the universe. Those who believe in transcendence say there are no coincidences while our modern scientific sensibility is defiant in the face’s’ of the inexplicable. It's what the sociologist Max Weber called disenchantment. Yet even those who don’t believe in anything that is not explained by the laws of science, still find themselves awestruck when they take a step back and look at the symmetry and beauty of mathematics, for example. 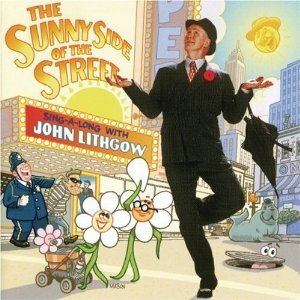 Can one be skeptical when one walks to the bus stop and there waiting at the red light, on a sunny afternoon in spring, is that l01 or 102 you cursed God about on that freezing cold day in winter when even the Iceman wouldn't Cometh? Yes. 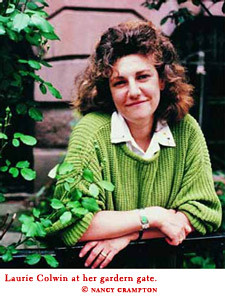 The late Laurie Colwin once wrote a novel entitled Happy All the Time. It was a cute title for a book and for the age of excess (the 70’s) in which it was written. But it’s a lousy idea for living. Many metaphoric vessels crash on the shoals of happiness, which are like the Scylla and Charybdis of the Age of Sensation. For those of you who don’t know what the Age of Sensation is, it refers to materialism. Living in the Now is a nice spiritual premise that’s at the heart of the Buddhist view of life. It’s ironically also a premise that’s used to defend the unmitigated pursuit pleasure, to the extent that we equate happiness with pleasure. And there is an almost Darwinian selectivity involved with this pursuit. Those at the top of the food chain, who have the right mixture of looks and brains, are awarded disproportionate amounts of pleasure as compared to those unfortunates who have lost their brains and looks or never had either. To be the valedictorian of your class at the very best college and also be blessed with perfect skin and a nice chin is the opposite from being an impoverished leper. Class used to define some of these separations, but now inequity is dished out in a more democratic way, though the results are markedly the same. The happy who have everything don’t need anyone to talk to and the poor and miserable who live in a perennial state of loss aversion are virtual chatterboxes. There are of course a small category of winners who are perpetually miserable and of losers whose profound sense of oneness with the universe allows them to be exultant (despite the existential reality of their condition), but these tend to be the exceptions. If you are looking to have a good conversation about the meaning of life, you’re not going to find it with the winners in the sweepstakes of life. You have to seek out the black sheep in the human family. The last shall be first.